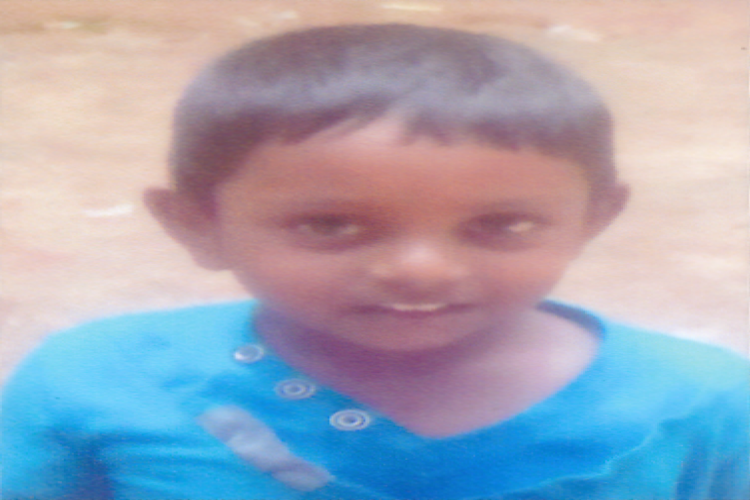 Sivaramakrishnan 3 year old kid from Kalady, Thiruvananthapuram, Kerala, India is suffering from Hemophilia A. He is a permanent resident of Tamil Nadu and hence he is not able to receive benefits from various health support schemes in Kerala. He frequently needs Factor VIII transfusion. This is a certificate given by Doctor of Thiruvananthapuram Government Medical College who is treating the patient. He is not able to receive any Government Aid and his parents are currently putting their best efforts to provide the best medical care possible. Parents of Sivaramakrishnan, Selvasubramanian and Vijaya S are workman who's earning can only be able to meet the day to day expenses of the family. His parents are running pillar to post to find necessary financial means to support the constant medical attention he requires. We are requesting your kind attention and help this kid to overcoming his unfortunate medical condition. Your share could be as good as a donation for Sivaramakrishnan! Not everyone can afford to take care of their loved ones. Sivaramakrishnan's life can only be saved by donations made by kind people like you.